Be Prepared – Be Safe! Over 60% of accidental fires in the home start in the kitchen and 20% start in the deep fat fryer! The new Wet Chemical Fire Extinguisher is now a requirement of BS 5306-8:2012 for kitchens where cooking oils or fats are used. 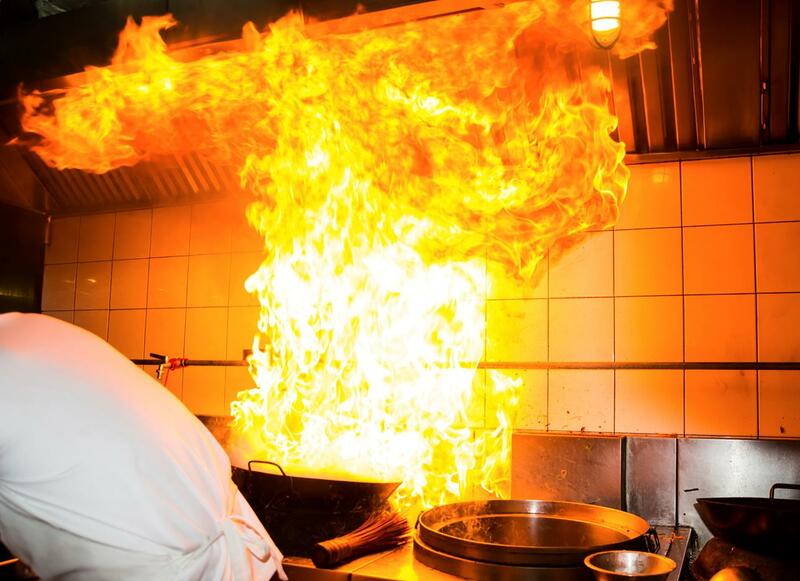 This extinguisher has been designed specifically for Class F (cooking oil, grease, and fat) fires and contains a chemical solution which reacts with the oil to form a coating, sealing out the oxygen and preventing re-ignition. This extinguisher has a long lance, enabling the operator to stand well away from the fire and spray a fine mist over the fire so it is contained, cooled and extinguished. 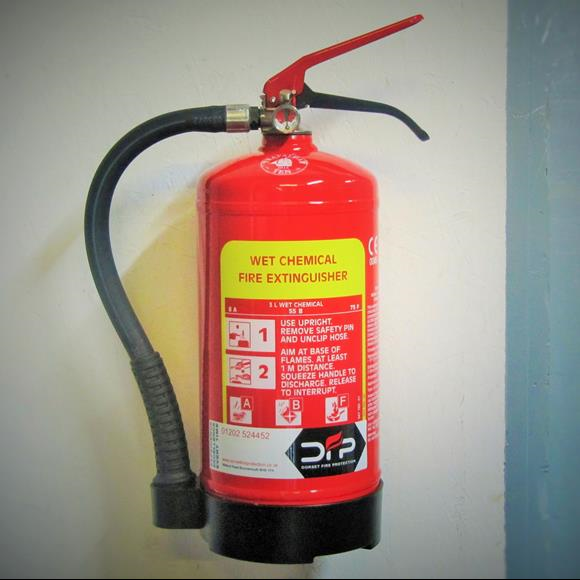 While not recommended for direct use on live electrics, the lance on the extinguisher is non-conductive, so it is safe in the vicinity of electrical equipment. A Wet Chemical extinguisher can also be used on Class A fires (wood, paper, and textiles) if a standard fire extinguisher is not available. Wet Chemical Fire Extinguishers are available in 6 litre and 3 litre sizes and in both our standard and maintenance-free ranges. Contact us for information. If in doubt – get out… and call the fire brigade. Remember, property can be replaced – you can’t!